Racecadotril is a peripherally acting enkephalinase inhibitor that exhibits intestinal antisecretory activity without affecting intestinal transit. It reduces the secretion of water and electrolytes in the intestine. 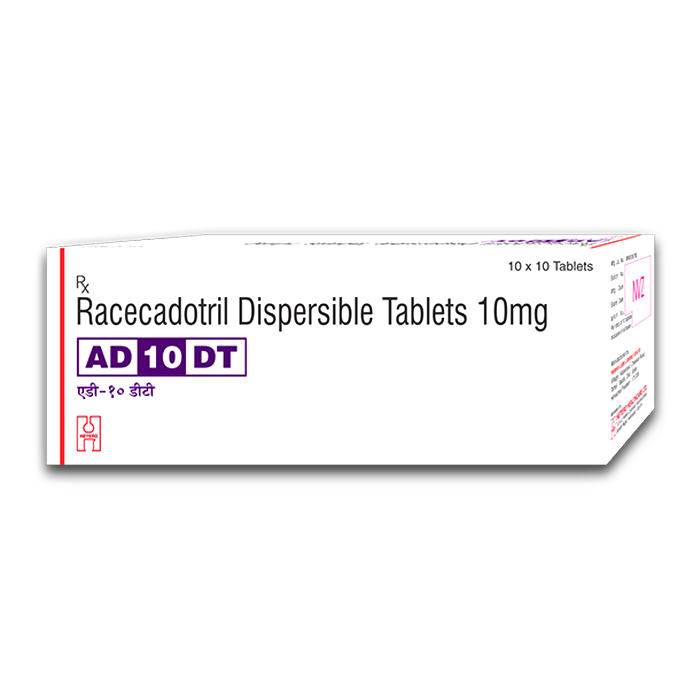 AD 10 mg Tablet DT is used in the treatment of diarrhoea. It is used, when fluid and dietary measures are not sufficiently effective to control diarrhoea.